“White House speechwriters struggle with that almost every year. Judson Welliver, who did the writing for Calvin Coolidge under the title of ”literary clerk” (and who should get the credit for Silent Cal’s reputation for eloquence), elected to use nouns. ”It is exceedingly gratifying,” said the cool-keeping chief executive in 1925, ”to report that the general condition is one of progress and prosperity.” No powerful, state-defining adjective.” NYT, 2/17/02. 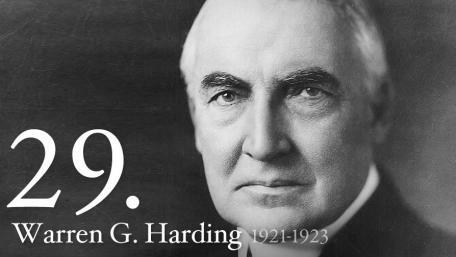 “The most egregious alliterator – will receive a small plastic bust of President Harding, who in addition to being the 1918 coiner of founding fathers (a term once revered, now considered sexist), set this high standard in 1920 that has never been successfully challenged: The American people, he intoned, in words possibly ghosted by Judson Welliver, his White House “literary clerk,” looked to national leaders for “not heroics but healing, not nostrums but normalcy, not revolution but restoration, not agitation but adjustment, not surgery but serenity, not the dramatic but the dispassionate, not experiment but equipoise.” NYT, 2/26/06. “Judson Welliver was hired by Warren G. Harding and served in the White House from March 4, 1921, until Nov. 1, 1925, as ”literary clerk.” He wrote many of Harding’s speeches, making Harding the first President to have a formal speechwriter. 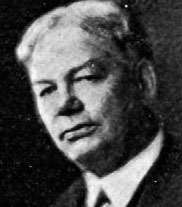 Welliver continued in the Coolidge White House for two years and may well have assisted Coolidge in researching facts for his speeches. 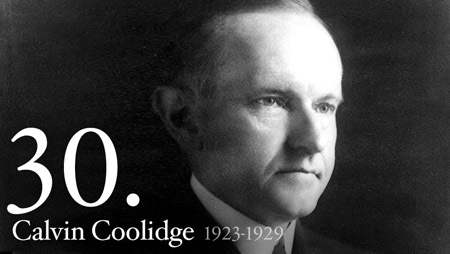 But certainly he was not responsible for Coolidge’s eloquence, which was well established before he became President. Coolidge’s son, John, adamantly maintains that his father wrote his own speeches, often laboring over the precise choice of words.” NYT, Letter to the Editor, 2/18/87. Another letter in the same vein appears in NYT, 3/5/87. A 2006 article from Rhetoric & Public Affairs mentions JW in conjunction with his work in the Coolidge White House. The article, by Colleen Shogan, argues that Coolidge wrote all of his speeches and JW was actually an editor more than a speechwriter. What’s Shogan’s evidence or source for this conclusion? Citation: Colleen Shogan, “Coolidge and Reagan: The Rhetorical Influence of Silent Cal on the Great Communicator,” Rhetoric & Public Affairs 9 (2006): 215-234. An interesting article in the newsletter of the Calvin Coolidge Memorial Foundation about Judson Welliver. The Coolidge people have expressed some concern about the construction of Welliver as some kind of master speechwriter that made the otherwise uncommunicative Coolidge into an effective presidential communicator. JW worked for at least three presidents, but is most known for his work as literary clerk to Presidents Warren G. Harding and Calvin Coolidge. His obituary also indicates that he was dispatched by President Theodore Roosevelt to Europe to conduct a survey of European railroads and waterways.